To many, the Lockheed Constellation epitomises air travel in the piston-engined era. Few transport aircraft before or since have matched the dolphin-like, triple-tailed Constellation for sheer design elegance. 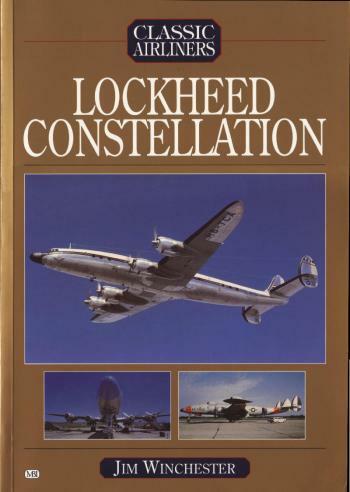 The Constellation became the flagship of the great US airlines, and established the post-war international air routes for many of today's mega-carriers such as Air France, Lufthansa and QANTAS. The parallel military career of the C-121 military Constellations could fill volumes by itself. As transports, they served the US Air Force and Navy, and a few other nations on missions all over the world, but in the new and specialised roles of early-warning, command-and-control, and electronic intelligence (FLINT), they were the ancestors of today's AWACS aircraft, an essential part of the modern battlefield. Only a few of the 856 Connies and Starliners that rolled off the production lines between 1943 and 1958 remain today, and only a handful of them still fly. These are almost all in the hands of wealthy collectors and enthusiasts' groups, and they can be guaranteed to attract a crowd wherever they go. Jim Winchester was born in Wellington, New Zealand and has been interested in aviation as long as he can remember. In 1992 he received an MA in Geography at the University of Canterbury with a thesis on the development of Wellington Airport. He has worked for a DC-3 freight operation, a warbird organisation and a balloon company and was the editor of Wings of Fame. He has contributed to a number of books and magazines including Aeroplane, Flypast, Warbirds Worldwide and World Air Power Journal. He is currently the assistant editor of Jets magazine, writes an internet column for Aeroplane and is a freelance writer and photographer based in London. This new series looks at classic postwar airliners.